Quadri Aruna is heading in to the 2018 Australian Open as the no.13 seed and current world no.20. 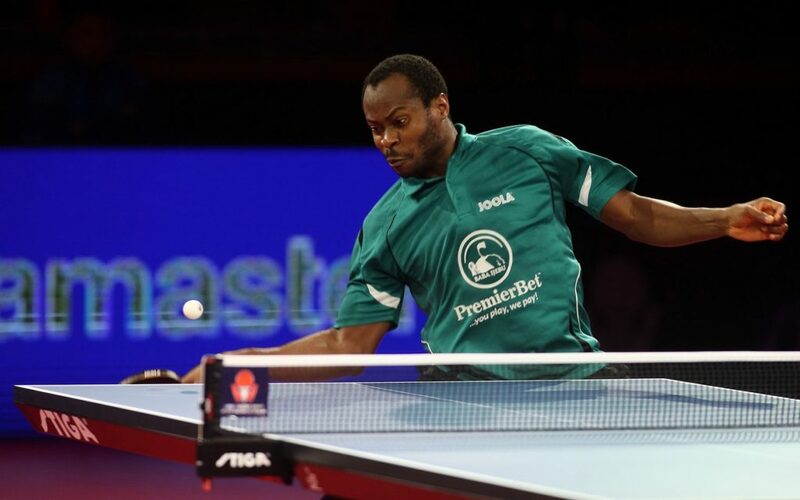 The Nigerian superstar is one of the most entertaining athletes on the World Tour and will be looking to take the title away from the traditional table tennis powerhouses when he arrives in Geelong in a few days time. We sat down with Aruna and asked him some hard hitting questions to find out more about the man with the mammoth forehand. When and where did you first play table tennis? I played table tennis first time on the street of my hometown ‘Oyo’ Nigeria when I was 7 years old. What’s your best moment on the table tennis court? My best moment was in Rio 2016 Olympic Games after I made it to the quarterfinal. What makes table tennis special? Table tennis is special to me because its fun to play. No favourite training partner exactly as I have so many favourites. There are so many tough opponents, in fact these days all opponents are tough. Serve or receive first point of the match? I prefer to serve! This is a little bit different compared to other players choice of receiving. What is special about Nigerian table tennis? Table tennis is special in Nigeria because with almost zero support Nigeria still produce good players. If you weren’t a table tennis player what would you be? I might be into athletics, 100m and 4×100 races. Don’t miss Quardri Aruna in action at the 2018 Australian Open. Get your tickets here.